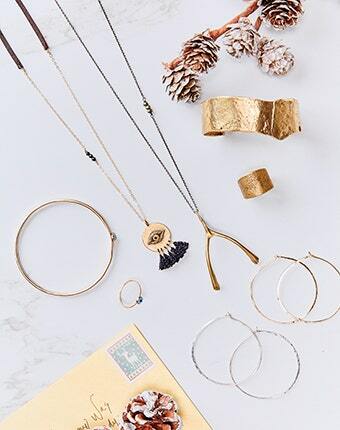 Our boho jewelry collection features modern bohemian rings, necklaces, earrings, and bracelets. In the signature Johnny Was aesthetic, each piece is meticulously crafted with unique textures, materials, designs, and gemstones for an artisan charm. Our pieces are especially well-paired with our signature silk blouses and dresses, and can instantly lift an outfit. Johnny Was pays special attention to every detail in the jewelry, from beads and charms to stones and grommets. Shop beaded bracelets, druzy rings, hoop earrings and more in our newest Collection.